Follow the election with us on our LIVE Election Blog! Objective News Report is proud to present you with our final electoral map prediction for the 2016 Presidential election. 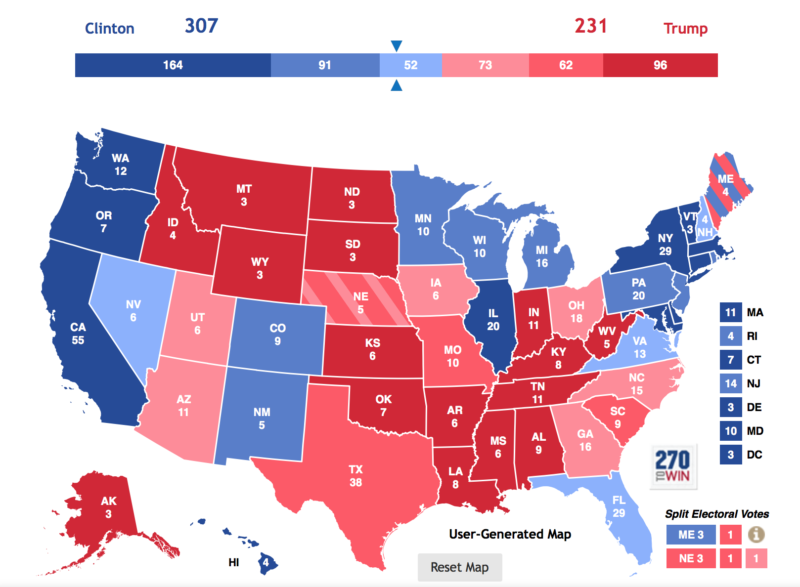 ONR predicts Hillary Clinton to defeat Donald Trump 307-231. All the data points to a Hillary Clinton victory, which would make her our 45th President. Our map is highlighted by Clinton’s success in swing states with a high percentage of Latinos, specifically Nevada and Florida. Nevada has seen a historic number of early voters, which leads us to believe the state is almost certainly going to go to Clinton. Furthermore, if Clinton can take Florida, there’s almost no chance Trump wins. Trump would have to pull a major upset in a state like Michigan or Pennsylvania, which seems unlikely. Still, Trump has a legitimate shot to win, though it would require a series of upsets. 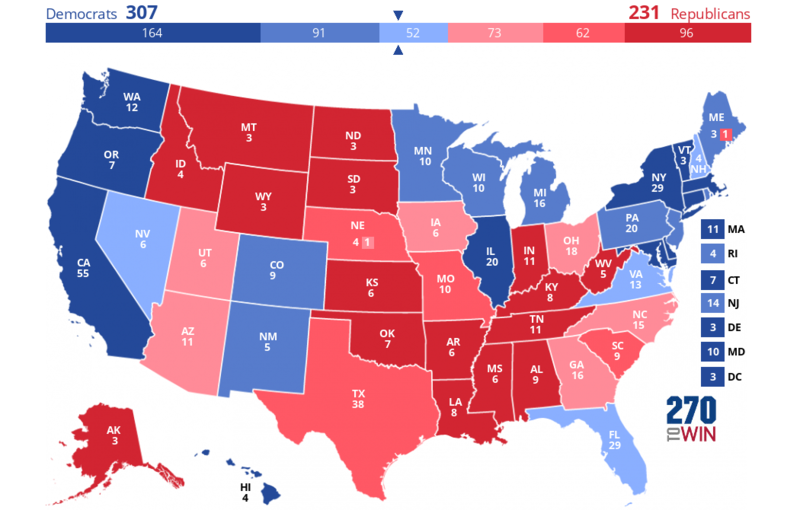 First, Trump would need to win the swing states of North Carolina, Ohio, and Florida. Then, he’d have to flip an additional state or two to pick up the next ten electoral votes. Currently, Nevada, Colorado, New Hampshire, and Virginia look most plausible for Trump. Watch here for a full video analysis of this map.